The man was in love with the sister-in-law of one of the arrested accused who lived in the same village for the last two years. A 23-year-old man, who was in a relationship with a woman, was killed allegedly by her relatives, who dumped his body in bushes in Murbad town of Thane district in Maharashtra, police said on Friday. Two of the three accused have been arrested in the case, police said. Police identified the victim as Kalpesh Chowdhari. He was in love with the sister-in-law of one of the arrested accused, Nandu Mhadse, who lived in the same village for the last two years. The woman used to live in Ambernath. The affair was not approved by Nandu Mhadse and his brother-in-law, police said. They added that Chowdhari and the woman's family have often fought over the matter. Chowdhari went missing early this month. 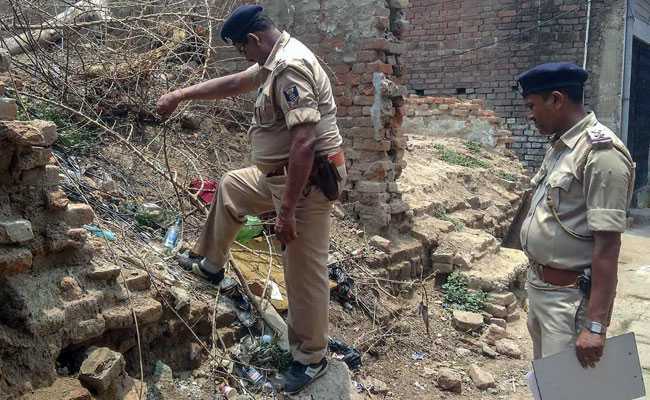 Police said his highly decomposed body was found in bushes behind a farmhouse on the Murbad-Mhasa Road on Thursday. Probe revealed that three of the woman's relatives allegedly beat up Chowdhari. They dumped his body when he died, police added.